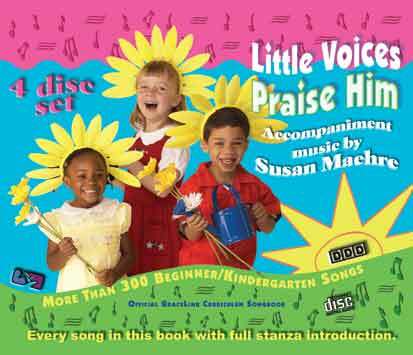 for shipping Within the U.S.
Little Voices Praise Him $US69.95 for a 4 disc set. 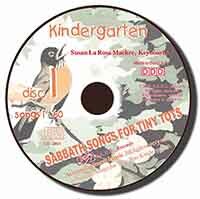 315 songs for Beginner and Kindergarten boys and girls. 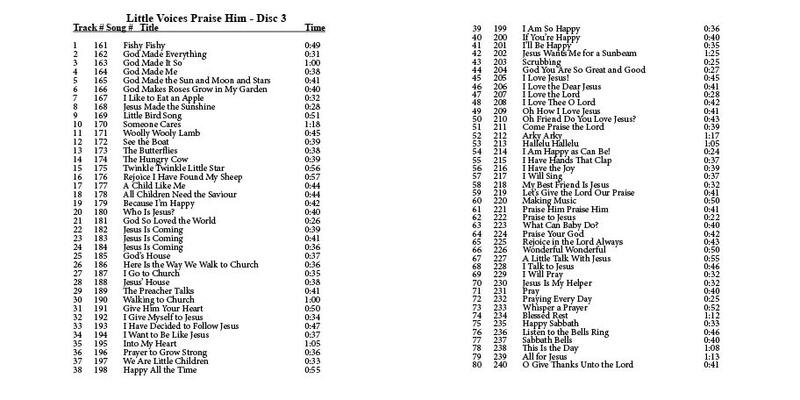 All songs played twice through. 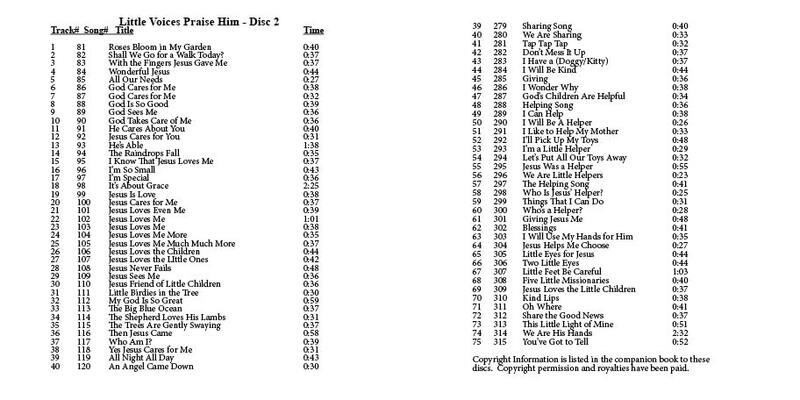 Below are the pages of the Little Voices Disc Insert. 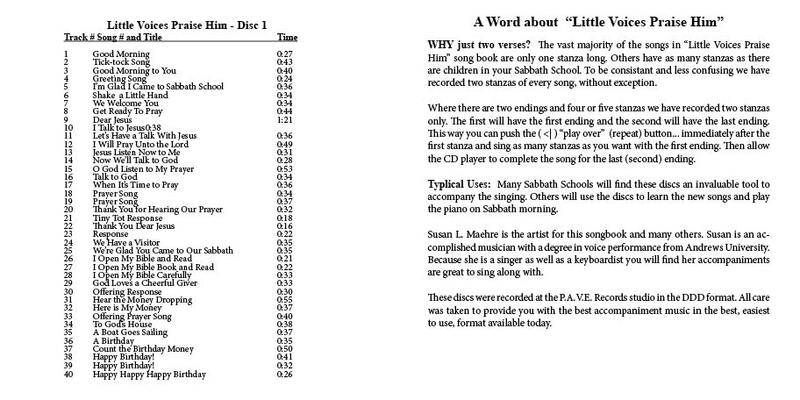 If you loose yours you can print these out. Thanks. 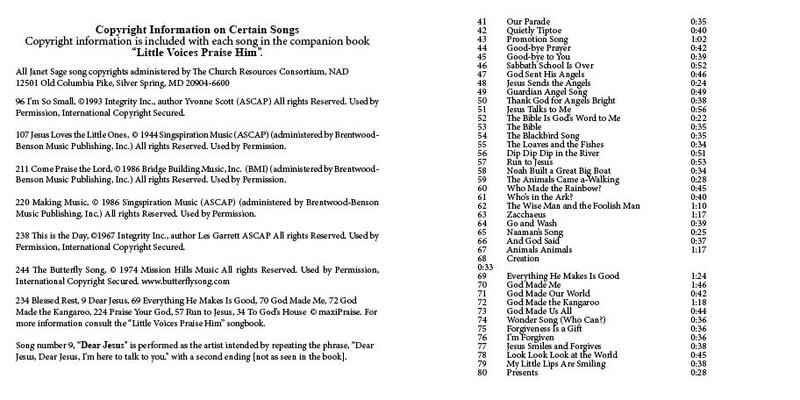 Song books are available at your local ABC. 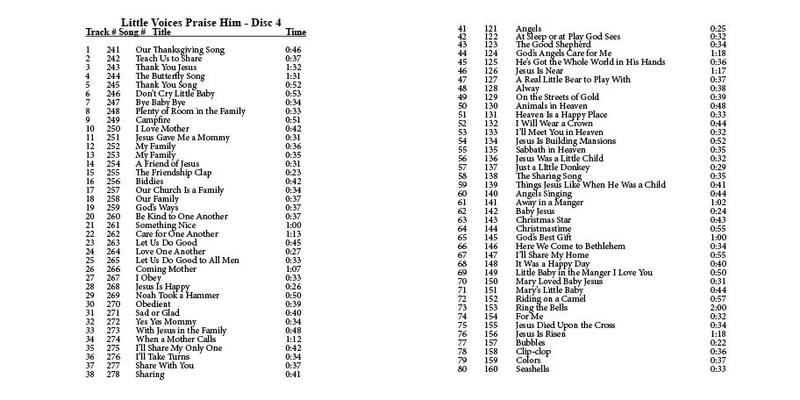 These CD's are also available at your local ABC. Ask for them. 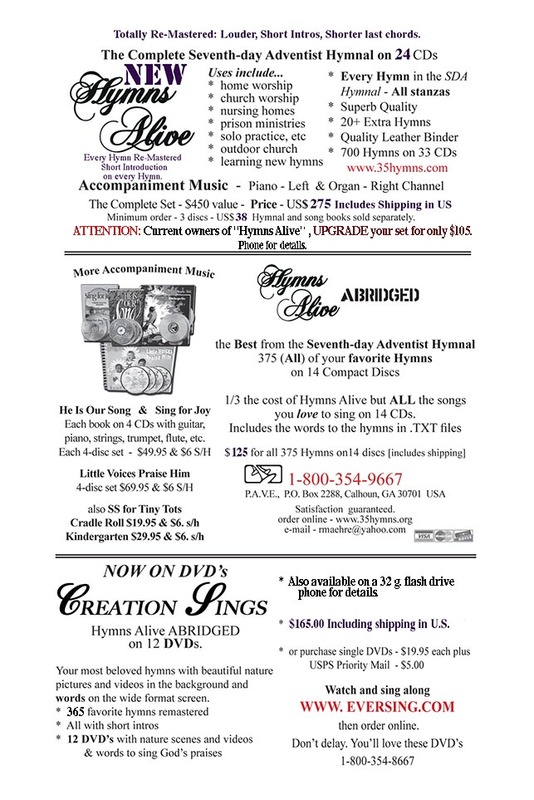 The CD's are not available at the above we site, just here.